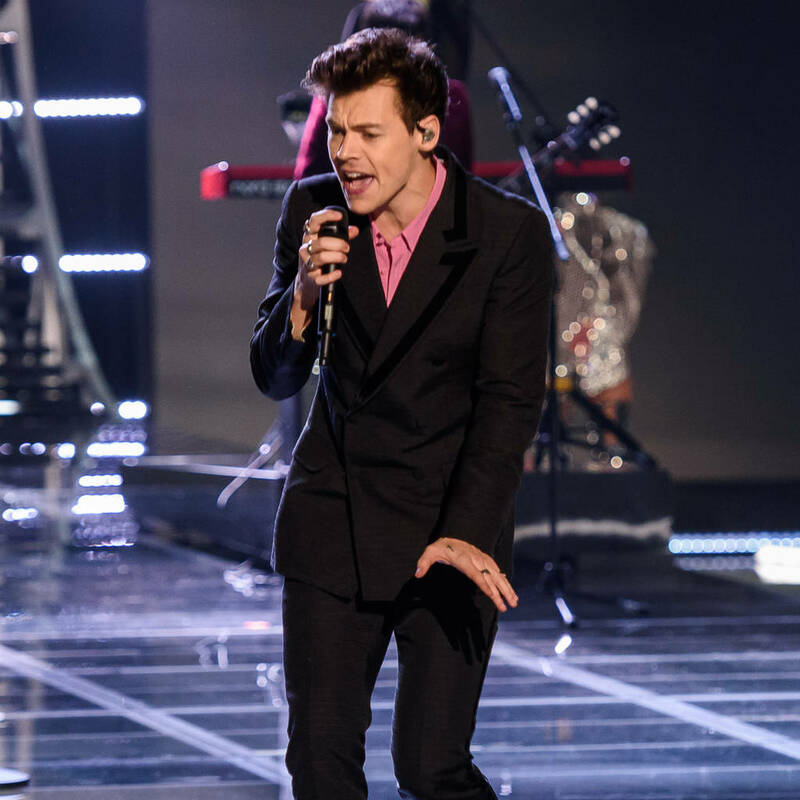 Harry Styles helped a teenage fan come out as gay during a performance in California. The former One Direction star took to the stage at San Jose's SAP Center on Wednesday night where he recited hits such as Sign of the Times and Carolina as part of his Harry Styles: Live on Tour trek, which comes to a close this Saturday. Fans flocked to social media after the gig to rave about his performance, but the British popstar began trending on Twitter when some members of the audience shared videos of him encouraging a young fan to reveal her sexuality. Footage showed the 24-year-old singer addressing the crowd near the end of the show and thanking them for their collection of handmade banners. Harry then stopped at a sign which read: "I'm gonna come out to my parents because of you," and leaned in, asking the girl for her mother's name. When she replied "Tina", the Best Song Ever hitmaker exclaimed to the audience: "Tina, she's gay!" Harry then called on the crowd to pledge their support and recite the statement too – to which they obliged – and suggested he might make the phrase into a slogan T-shirt for his next global tour. "I want to put that on a T-shirt, alright, you'll see that on the next tour," he laughed as fans screamed in approval. "It will be on a T-shirt: Tina, she's gay!" The superfan, believed to be called Grace Tomorrow, took to Twitter following the event to thank the star for his support and confirmed she had indeed come out to her mother. "I SHOWED MY MOM THE VIDEOS FROM TONIGHT. SHE IS OVERJOYED AND SAYS THAT "YES I DO LOVE YOU AND YOU CAN BE WHOEVER YOU WANT TO BE" SHE WANTS TO THANK HARRY FOR HELPING ME COME OUT and she has decided to come to LA Night 1 with me 🙂 (sic)" the fan wrote. "Thank you @Harry_Styles," she added with a heart emoji.